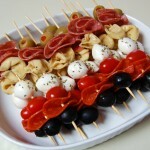 These quick and easy, do-ahead appetizers are always a big hit! Place the cooked tortellini in a bowl or large gallon freeze bag. Pour the salad dressing over the top and marinade in the fridge for a few hours. Drain the pasta. 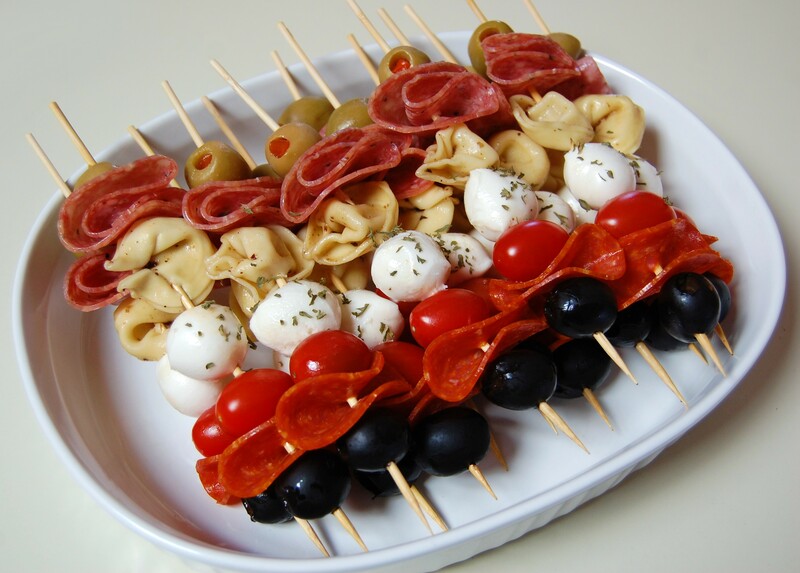 Place each item onto the skewer using the pointy side. Can be made a few hours ahead and placed in the refrigerator covered.